Get ready to step into the valley of the gods. Fly through the heavens and get in touch with your spiritual side. 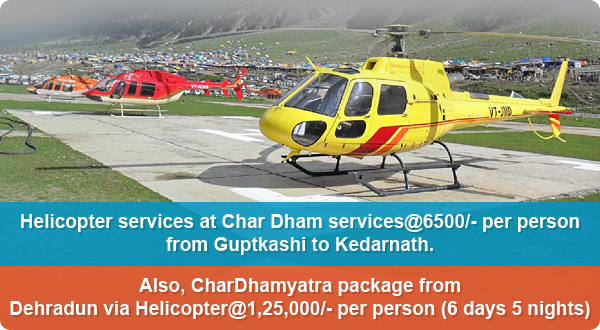 Helicopter services to Kedarnath, Gangotri, Yamunotri and Badrinath are now available at a price that seems nothing less of a blessing. © 2019 Vikas Travels. All Rights Reserved.